Bored and need a cool project that will take up a Saturday afternoon? 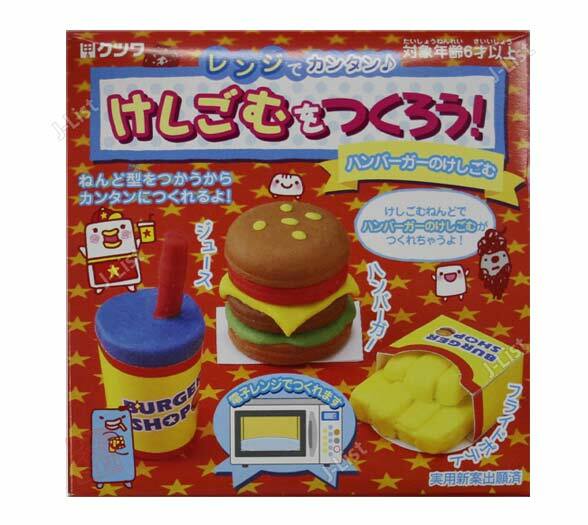 How about making erasers shaped as fast food and sushi in your microwave. Yep, in your microwave. The products are from the Let’s Make Eraser with Microwave line of products. 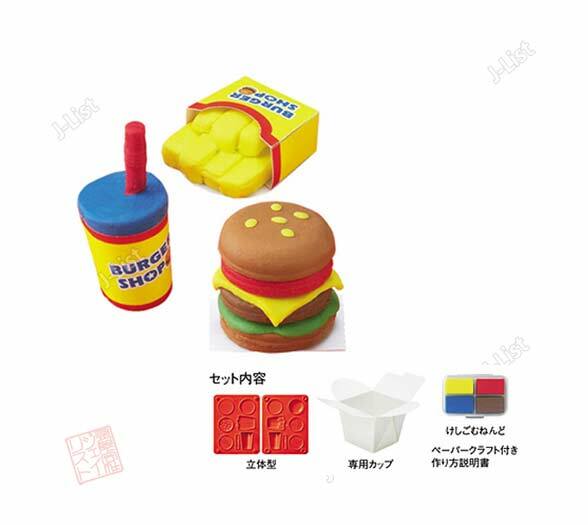 Currently there are 2 sets featured on Jlist, a fast food set that includes a soda, hamburger, and fries. 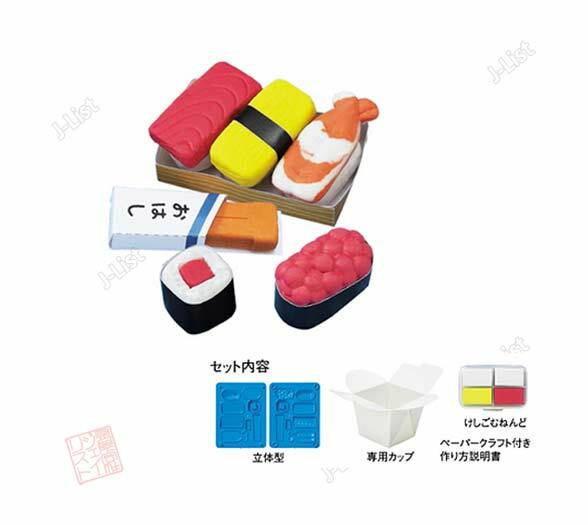 The sushi set includes 3 nigiri rolls, roe, and a maki piece complete with eraser chopsticks. To create the erasers, you apply the clay into the molds with the different colors provided. Then you place clay into what looks like a Chinese take out box, and fill it with water. Pop the whole thing into your microwave for 5 minutes, and replace the hot water with fresh water, and after drying, its ready to use. Can these be eatten? I would like to go on record as saying no. But for only $6.50, it’s not a bad way to spend an hour. 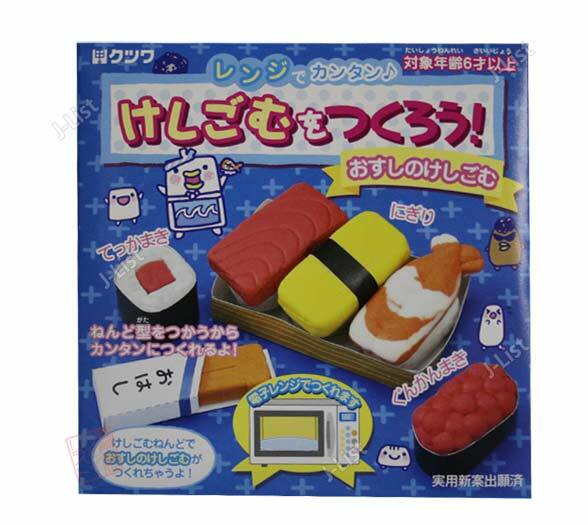 Check out the Fast food set here, and the Sushi set here.